James Lech from Good-Dog is also known as 'The Dog Shaman' or “Africa’s Dog Whisperer”. 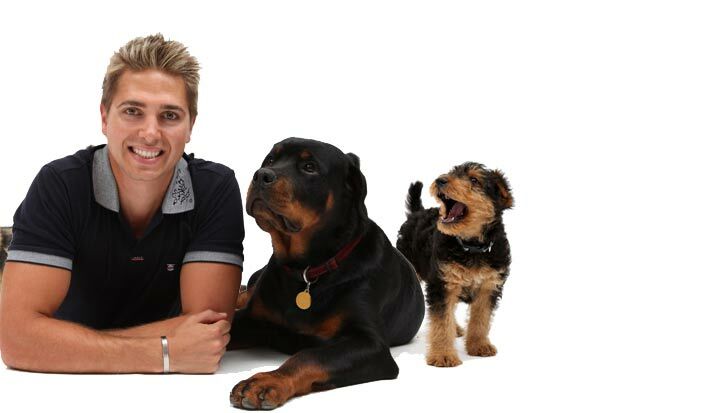 James is a renowned dog behavioural specialist and is ranked number 1 in Africa due to his 100% success rate in rehabilitating dog psychological behavioural problems. James travels all over the country working with dogs with a wide range of behavioural issues, anything from insecurity to severe aggression, and has helped to positively change the lives of dogs, and their owners. These rehabilitation sessions are done in the owners homes. James also hosts workshops all over SA and even runs a shelter transformation program - to create a healthier and happier environment for dogs, enabling them to be integrated into their new homes more successfully. James Lech will be joining us to begin a regular series on dogs, and how their owners can improve their communication and relationship with their pets. For the first segment he will define the relationship between a dog and its owner. The discussion will revolve around understanding the responsibilities between dogs and humans, and eliminating misunderstandings in communication. Joining James is Tanner, a cross collie shelter dog, one of the extreme case he's been working on. At the end of the show James will be giving Tanner away to one of our lucky viewers*. * Viewers who are interested in adopting Tanner can send a motivational email to pets@expressoshow.com. The winner will be contacted after a stringent interview process.